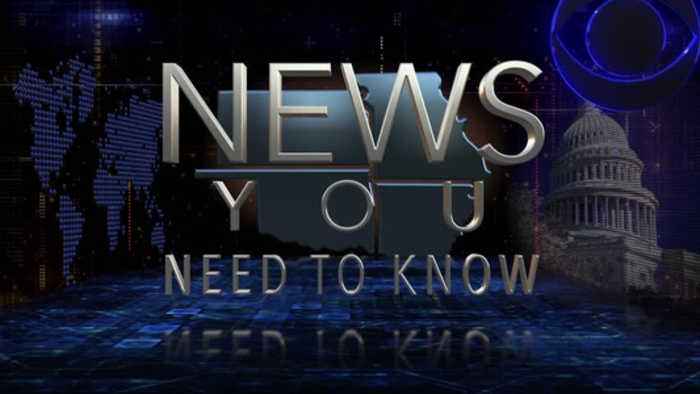 The news you need to know before you head out the door. Pittsburg police have arrested one of the two remaining suspects in a pittsburg armed home invasion. 18 year-old jermey stringfellow was arrested in parsons kansas. Another suspect 22-year-old daelon hendricks is still on the loose. The two are suspects in a home invasion back on march 11-th. Authorities say they and two others went into a home on north joplin street with guns -- and left with an undisclosed amount of cash, guns, and other valuables. The newton county jail is stepping into the 21-st century by changing the way they do inmate visitation. The jail now has a video visitation system -- where instead of talking on different sides of glass -- inmates will stay in their jail pods and talk to visitors on opposite ends of a camera. The jail has also extended the number of days visitations happen from three to five a week, and made visitation hours longer. The galena kansas main street project is making head-way through phase two. 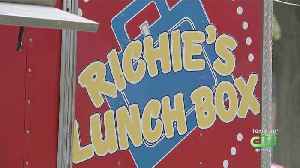 The project is the city's way of giving the street a facelift, repairing sidewalks, roads, and curbs. 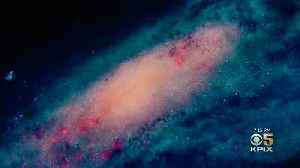 Phase one of the project was completed years ago and they began work on the second phase afterwards. The final portion of funding for the project will not be distributed until it's complete. A school funding bill proposed by kansas governor laura kelly and passed by the senate, has now hit a road block in the house. The senate passed a 92-million a year influx in spending for education, but the house has come up with their own bill leaving the senate approved plan in committee. The house education bill is slated to only fund two years, but the senate bill would fund it for four. Lawmakers say they are hopeful a bill will be done before the supreme court's deadline. Tawnya: that's a check of today's top headlines. 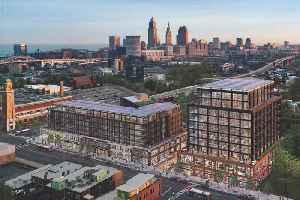 Cleveland's Market Square Development across from the iconic West Side Market moves forward. A soon-to-be dad flagged down a Fort Worth Police officer Thursday morning, but little Allyson couldn't wait for him to safely get mom and dad to the delivery room. Get your happy feet on! 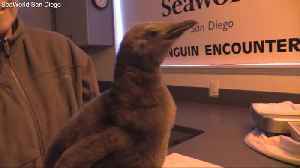 SeaWorld San Diego is celebrating World Penguin Day Thursday. 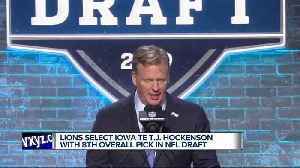 An ambitious effort is underway to make direct contact with intelligent life beyond earth, improving upon 70s-era space missions which included attempts to bring messages from earth to..
Lions select T.J. Hockenson in NFL Draft. Brad Galli reports from Lions headquarters. 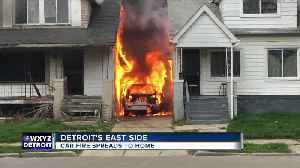 A car catches fire as a homeowner pulls into her driveway, damaging her home and destroying a neighboring one. It happened on the city’s east side on Waveney Street near Cadieux. 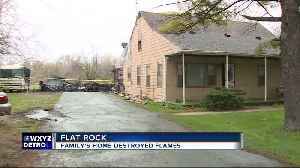 A decades old family home has been destroyed by fire in Flat Rock. Chuck Smalley says he left the garage after parking his mower, went to grab the mail, and then a neighbor got his attention.